What do you mean Machine Translation isn’t the same as Google Translate? Here, it is important to clear up the misconceptions concerning Google Translate and indeed machine translation in general. 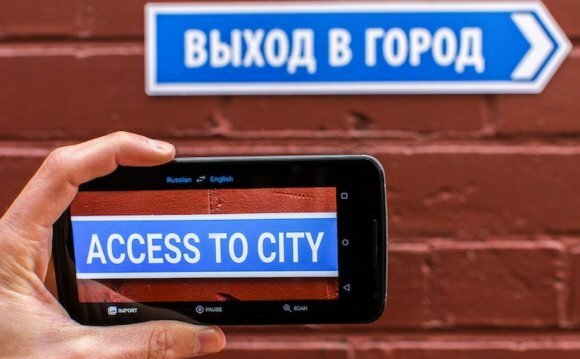 Yes okay, it is true: Google Translate is an example of a machine translation system; to be more precise it is an example of a statistical machine translation (SMT) system. But please don’t be disheartened by machine translation as a whole if you happen to process some of your web content for translation via GT, say in French, and then publish it for your French market (without having it reviewed by a native French speaker) only to receive a stream of email invective from irate partners and customers denouncing whichever translation agency you used to produce these translations. What else would you expect from a SMT system which has not been customized for any particular industry domain, but instead has been built using any publicly available data between language pairs? And if you’ve chosen to publish client-facing content which has been translated by Google Translate without incorporating any form of human editing, then you really do not have my sympathy, and you should not be laying the blame at the feet of machine translation for your own mistakes. Machine translation is capable of a heck of a lot. It is certainly possible to tailor machine translation systems to your company’s content, which is not the case with Google Translate. This is the key difference between GT and customizable MT systems available on the market. By training MT systems using your company’s bilingual data (predominantly in the form of translation memories, glossaries, and dictionaries), you can actually build yourself quite a nifty tool for your localization workflow which can not only help reduce time to market for your content, but will also lower production costs for localizing material. Which in turn means you can then afford to localize more material that was previously considered too low a priority to warrant partial allocation of your precious localization budget. But here it’s important to temper your excitement slightly. Please set yourself realistic expectations and ensure that you take a sensible approach. Machine translation can provide very good *literal* translations of content. Your marketing material that requires a more creative linguistic touch is certainly not suitable for machine translation, and you should really rule out considering machine translation for such content. However, for user manuals, help files, or other technical documents which contain very repetitive content and would generally contain minimal syntactic variety, MT should certainly be in your considerations. Building a MT system also requires thorough engagement of technical expertise and a process-oriented structure which can only be realistically managed by a team of human resources . When built properly, it can certainly be an aid to translators in their work. It is worth making the point explicit: much in the same way that translation memories are now considered an indispensable technical resource for translators in your existing localization workflow, machine translation must be seen in the same way. In the overwhelming majority of cases, you will require human editing of your translated content to ensure it is of publishable standards. And if you keep feeding post-edited content back into your system during incremental training cycles, then the quality of your system will only improve with time. Which means your linguists will have to make less corrections in the post-editing phase and you can therefore get more content translated at faster and cheaper rates and will have done your bit for removing the stigma of Google Translate from machine translation! Can you translate faster with Google Translate?